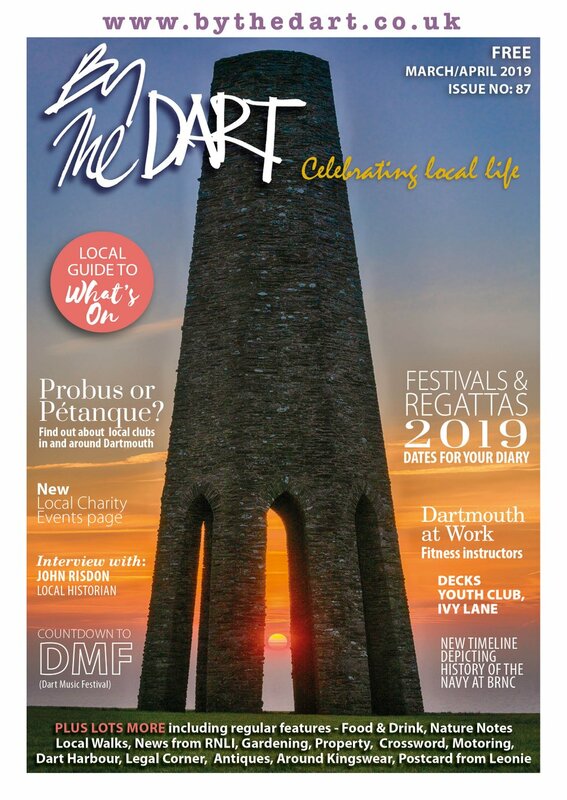 Throughout its long and proud history, Dartmouth has been a big part of a number of nationally or internationally important events. There was the second crusade in 1147 when 169 ships massed in the harbour before heading off to the Holy Land; or its pivotal role in the Civil War, when keen resistance led to a Royalist defeat in the town and also at the key city of Plymouth and of course it was an unplanned stop off for the Pilgrim Fathers, en route to America. 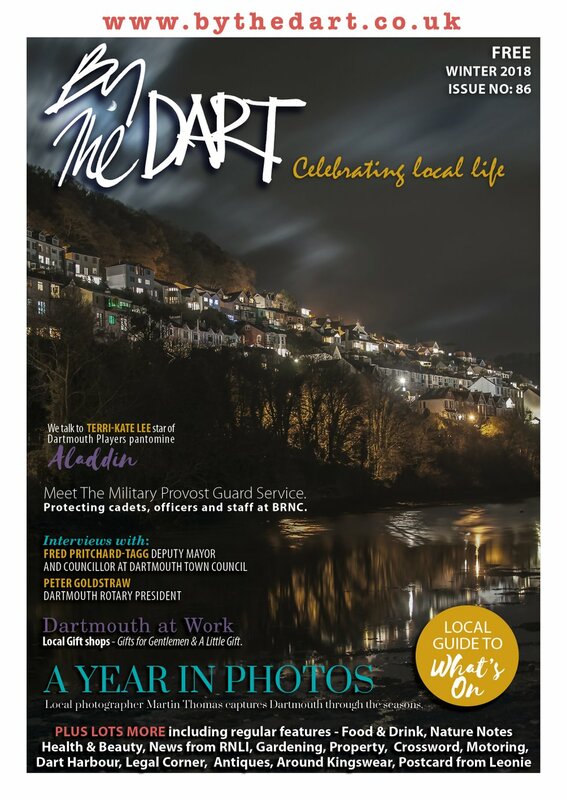 But perhaps no event has seen Dartmouth so connected to vital world events as those in June 1944 – as the harbour became one of the bases for the greatest invasion force ever assembled: for D-Day. The size and scale of D-Day – in which the allied powers aimed to push into Europe and wrench it from the clasp of Hitler and his Nazi forces – is truly staggering. 5,000 ships, 12,000 aircraft and 350,000 men took part in the invasion. The men launched from 10 ports, as far afield as Felixstowe in the East to Swansea in the West. The build up to Operation Overlord had begun in 1942 – with the covert transportation of weapons, planes, gliders and ships. A counter-intelligence campaign was run to convince the Germans that any invasion would come at the narrowest point of the English Channel, at Calais. The plan, audacious and in many ways the stuff of wildly inventive fiction (inflatable tanks and planes were used to allow the Germans to ‘see’ a build up of equipment and troops in the South East for example) but it worked like a dream, to the extent that Hitler refused troops transferral to fight in Normandy as he thought the invasion landings were a ‘feint’. 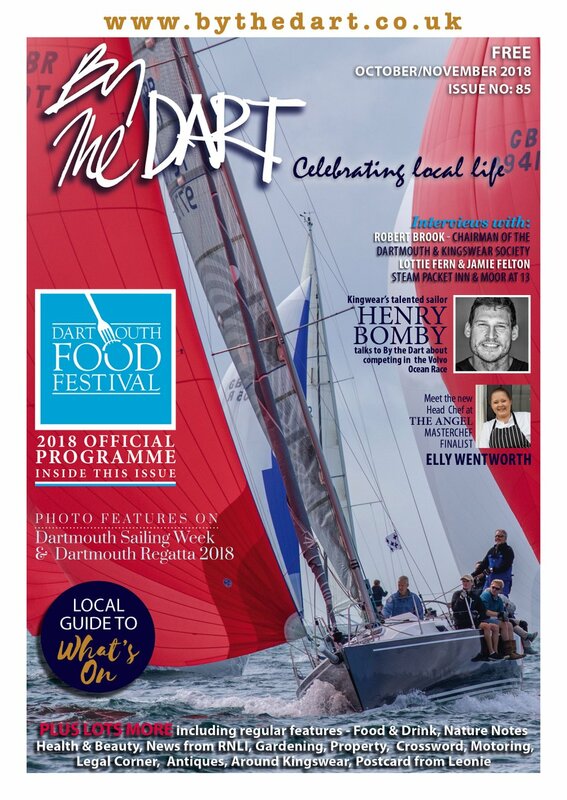 Dartmouth and the land around it played no small part in the preparations for this great day – and shared in tragedy as well as the triumph. When Rear Admiral Bernard Law Montgomery, the hero of Al Alamein, suggested that the beaches of Slapton would be perfect for practising the planned landings on the beaches of France which had been codenamed ‘Utah’, it initiated a huge operation. An area of more than 30,000 acres around the beaches were to be cleared, to allow the American troops who would be going ashore at Utah to have complete secrecy and somewhere to live. In November 1943 signs went up in the villages around the area – East Allington, Stokenham, Blackawton and Slapton itself – asking for all villagers to attend public meetings. They were informed the area from ‘The east end of Blackpool bay’ all the way to Beesands was to be vacated. All men and women had to vacate and find other places to live by December 21. It was a hard and traumatic time for many families who had lived in the villages for generations. But it shows the fortitude of the British people that there were few complaints. God’s blessing did not come for more than 1,000 of those American soldiers, who were involved in the debacle of Exercise Tiger in April 1944. A late night practice for a beach landing was sent into chaos when German E boats, completely by chance, stumbled on the convoy of ships waiting in Lyme Bay. Communication errors and faulty equipment saw more than 700 die. What is often not reported is another 300 men died the next day when landing on Slapton, as they were shot with ‘friendly fire’ trying to go up the beach. Dartmouth’s Britannia Royal Naval College, empty since February 1943 as the cadets were being trained in Cheshire, was requisitioned as headquarters for the nattily titled US Naval Advanced Amphibious Base. American officers were surprised at the poor heating and other plumbing in the Aston-Webb designed building, but British officers were just as unimpressed when their American counterparts used the Quarterdeck as a store for supplies and one British Naval man was horrified to see an American use the base of the statue of King George V to light his cigar! Eisenhower himself, Supreme Commander of Allied forces, is rumoured to have visited Dartmouth after the problems of Exercise Tiger and visited the BRNC during this time. Coronation Park was used as base, store and somewhere to repair damaged vehicles. In pictures, the area is virtually unrecognisable, with Nissen huts covering the ground and the whole area a bustle of activity. Philip and Son’s boatyards at Sandquay and Noss were both charged with undertaking repairs and maintenance in preparations for the big day – D-Day. Everyone was aware something was up. The preparations around the town and elsewhere were clearly building to some sort of operation, but secrecy held. Men avoided talking about what the preparations meant because you never knew who was listening. 4,000 American troops were living around Dartmouth. They made a huge impression, mainly positive, on those who lived here – and then suddenly, one day, they were gone. On June 1 the men were moved onto their ships to await the command to leave. On June 4 they sailed – but to many in the town they simply disappeared. The American and British troops that left – many part of Attack Force U that took on Utah beach – faced one of the most extraordinary and frightening mission any of them could imagine. 37,000 ground troops lost their lives storming the beaches of Normandy. Their sacrifice allowed the Allies to gain a foothold on the continent and eventually push on to Berlin, bringing Victory in Europe by the middle of May 1945.